There’s something about looking down the railroad tracks that turns me into a kid again. Is a train coming? How many trains have passed over this spot today? When does the next one go by? 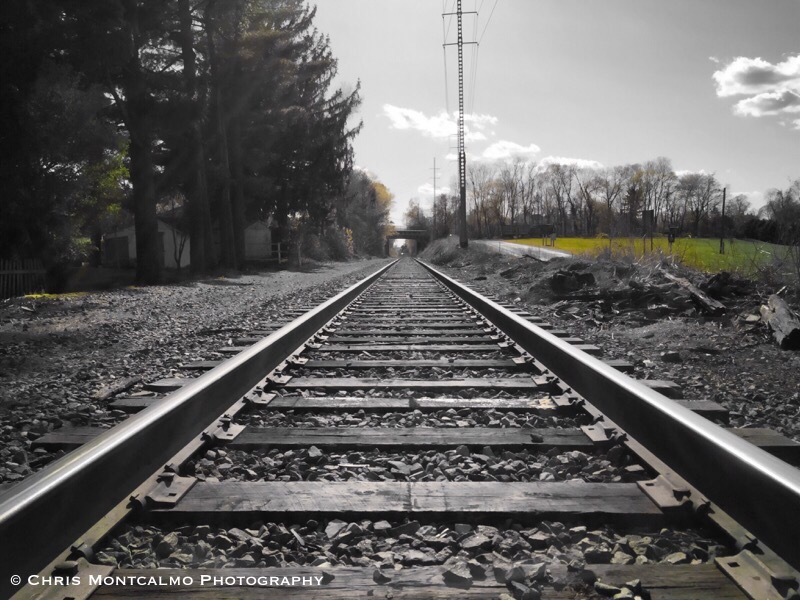 I spotted this set of tracks in Mountville, PA and they looked like something right off of a postcard. I decided to take this photograph and make it black and white – with just a splash of color.